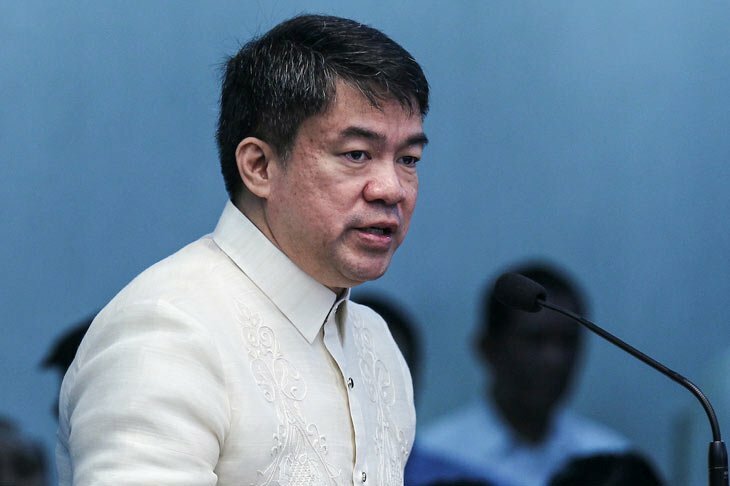 Senator Koko Pimentel is only against the draft of the new Constitution only because it will cut his political career, and not for any other reason, said lawyer Bruce Rivera. 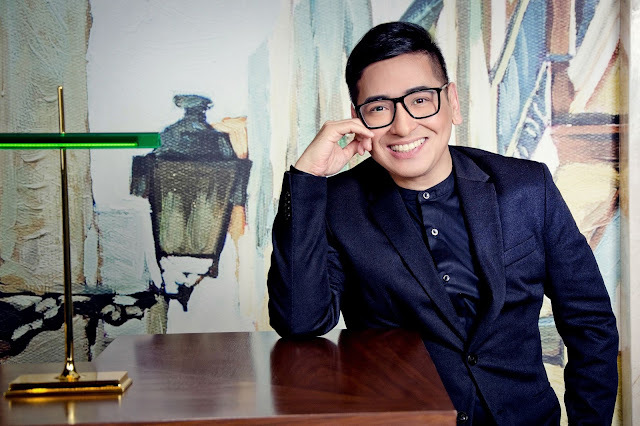 Rivera, a vocal supporter of President Rodrigo Duterte criticized the lawmaker after the latter said that he is against the new charter as it would allow the President to run for a second term. Pimentel said , "I disagree as to allowing Pres. Duterte to run again. That changes the present rules. Regarding VP Leni being allowed again, that is okay because under the present rules, she can really run again." 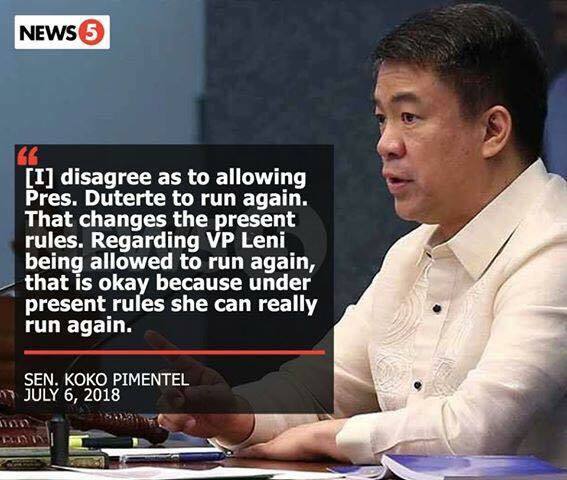 According to Rivera, Duterte's rerun is a mere cover by Pimentel whose real concern is his capacity to win as a senator, as the new constitution regionalizes the senatorial elections, and Pimentel would need the vote of the constituents of his province. Rivera added that it is not Pimentel alone, but several other lawmakers who would oppose the new constitution, for their own political agendas. Your father was part of the team that created the draft. You know PRD gave specific instructions to CJ Puno not to extend his term or if possible even shorten it. You also know that if Duterte can run, so does PNoy, GMA and Erap because it is a clean slate. So why make it out only as a scenario for a term extension for PRD? That was the reason why I opposed the Constituent Assembly proposing a revision to the Constitution. You will never approve it unless it favors you and your party. You told the people you are for federalism but it is clear now that you are already nitpicking it knowing fully well that it will still be subjected to regional consultations. You are already conditioning the minds of the people that something is wrong in it just because it allows an opportunity for a 73 year old man to extend his power until he is 81 years old. Did you even learn from your father? Did your dad tell you he still likes to be President? Clearly, at his age which is not far from PRD's age, your father is tired. In fact, if your father ran against you, I would still vote for him in a heartbeat. The only people I am worried about term extensions are the younger politicians like yourself whose only concern is how to perpetuate power. You see the draft constitution as a threat to your existence because if it strengthens political parties and does not allow turncoatism for two years, you are afraid that the PDP-Laban will be stuck with the political butterflies your party graciously admitted just in the name of power. While somewhere in the offing is a new regional party which can be your greatest threat and you cannot even be a member or have a coalition because Speaker Alvarez managed to piss off Inday Sara. Just accept it. You know everyone in the Senate except a few with real bailwicks will never favor a Senatorial election on a regional basis. You simply cannot win an election if done regionally because most Senators who wanted to win moved to Metro Manila and left the places they came from and were alienated from its constituents. Zubiri will win that region and the second spot will be a hotly contested race between you, Guingona and many others. While most members of Congress except the party-list will still have a fighting chance to retain their positions. Stop telling us that the PDP-Laban is for federalism. You only wanted your own version. That version that will give your party control of the reins of government and allow all of you to just change parties if it needs be. That is the reason why most of you managed to stay in power."